Loren Agrusti | Local Childcare Coordinator for Cultural Care Au Pair servicing Elkridge, MD and surrounding area helping families find the right solution for their childcare needs! Contact me at 410-788-6984 or email loren.agrusti@lcc.culturalcare.com. 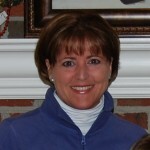 Loren Agrusti	is the	local childcare consultant	(LCC) servicing the areas of: Elkridge, Maryland and surrounding area.